The previous year was marked in particular by the migrant crisis, i.e., the migrations of peoples on a scale unprecedented in recent history, or more precisely since the end of the Second World War. In considering the causes and consequences of this crisis, it is necessary to recall that the waves of refugees from the Middle East were preceded by the migration of Albanians from the territory of Serbia, Kosovo and Metohija to the EU and Germany in particular at the end of December 2014 and the beginning of 2015. In that case, however, there were not enough emergency bus lines to take all interested Albanians from Pristina to Subotica, i.e., the Hungarian border. According to some data, within three months 30,000 Albanians migrated from the southern province of Serbia to the countries of the EU. What Serbian and foreign media interested in finding out what prompted Albanians to move en mass to the EU is of interest at this point. According to migrants who answered questions posed by journalists while waiting for buses at Pristina station, poverty and the uncertain future of Kosovo and Metohija were the main causes for migration. 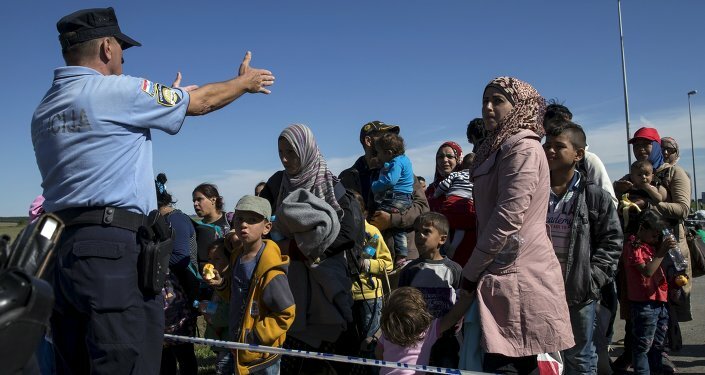 These Albanians told journalists that they had heard that good conditions were being offered for asylum seekers in Germany, France, and Switzerland. Although NATO officially stands for the preservation of peace and security, its actions result in the exact opposite effects manifested in partitioned states and the spread of terrorism. The citizens of Serbia have an extremely negative attitude towards NATO in regards to its aggressive activities and, above all, our experiences in 1995 and 1999 when this organization bombarded us and thereby violated international law. According to public opinion polls in Serbia, 80% of Serbs oppose any cooperation with NATO. The Serbian government, however, does not adhere to the will of the overwhelming majority of the people, but instead acts as if it is responsible to NATO and not the Serbian state whose interests it is supposed to protect. 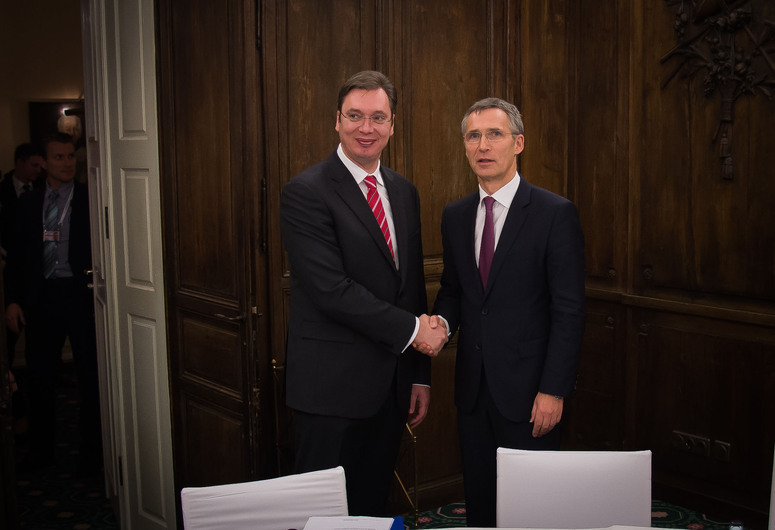 Significant advances in Serbia’s cooperation with NATO were realized in 2015. This information can be found on NATO’s official website  in which it is clear that Serbia officially chose the rather strict path of cooperation through the Individual Partnership Action Plan (IPAP). Serbia’s actions in regards to NATO have drawn attention in Russia. This subject was discussed during the closing session of the board meeting of the Ministry of Defense of the Russian Federation, at which the Russian Defense Minister Sergey Shoigu presented an analysis of the military-security situation in the world in the presence of Russian President Vladimir Putin . In an exclusive interview with Sputnik, Serbian politician and expert in geopolitics Dragana Trifkovic shared her impressions of her recent visit to Crimea as a member of the Serbian Patriotic Block delegation and explained why Kosovo cannot become a member of the UN cultural agency (UNESCO). 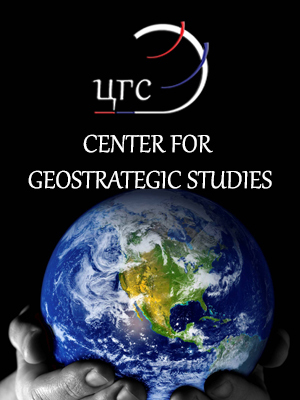 Commenting on the current political situation over Russia's Crimea, Serbian expert in geopolitics and the Director General of the Center for Geostrategic Studies in Belgrade Dragana Trifkovic drew geopolitical parallels between Crimea and Kosovo, stressing that since the collapse of the USSR, Washington and its NATO allies have been busy redrawing the borders of Europe at their own discretion. "Since the breakup of the Soviet Union, the United States has been redrawing the borders in Europe according to their needs, starting from the Balkans. Serbia was bombed just because it did not voluntarily consented to the American occupation," Trifkovic told Sputnik.